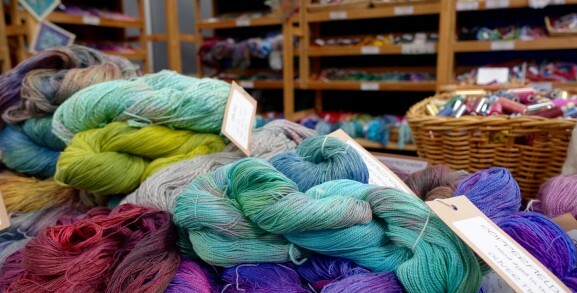 Woolfest was founded to provide a showcase and a celebration of the best of wool and wool crafts. The event is all about creativity and design with beautiful quality, amazing colours and skilled craftsmanship. It is also a great day out and was recognised in 2012 when Woolfest won the Cumbria Tourism Event of the Year Award. Woolfest 2018 promises to be 'blooming' marvellous with woollen flowers decorating the show made by our lovely visitors and friends. For more info and free downloadable patterns head to 'Events in the Small Ring'. Woolfest 2018 will be on Friday 22nd and Saturday 23rd June from 10am. Entrance £10 (£15 for a two-day ticket) - tickets available online or on the door. 2018 will be held on Friday 22 June 10am-6pm and Saturday 23 June 10am-5pm at Mitchell's Lakeland Livestock Centre, Cockermouth, Cumbria CA13 0QQ.